Crafting Wholecut Shoes from a Single Piece of Leather | Valet. The wholecut shoe is a study in simplicity. Lacing one up certainly makes a compelling argument for minimalism—the subtle style of the shoe does away with such extraneous design elements as cap toes and wing tip brogueing. Instead, there's an elegantly understated upper, unadorned and cut from a single piece of leather. 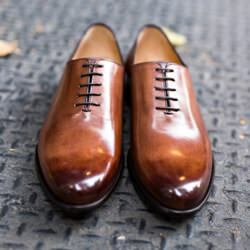 As one might expect, making one of these wholecut oxfords is no small feat. It takes just the right mix of modern engineering and old world craftsmanship. And when it comes to such expertly crafted and easy-on-the-eyes footwear, Paul Evans is one of the best on the market today. The New York-based brand produces small batches of handmade men's footwear in Italy. Founded by two former investment bankers in 2013, they eschewed the traditional retail route and instead flew to Italy to learn how they could make stylish, comfortable shoes from the best materials and sell them direct to the customer. No middleman markups. Just great shoes, crafted by the hands of skilled artisans in Naples, Italy and delivered straight to your door, for a fraction of what they should cost. Paul Evans offers free shipping globally and 365 day returns, plus your exchanges and returns in the US are at no cost. 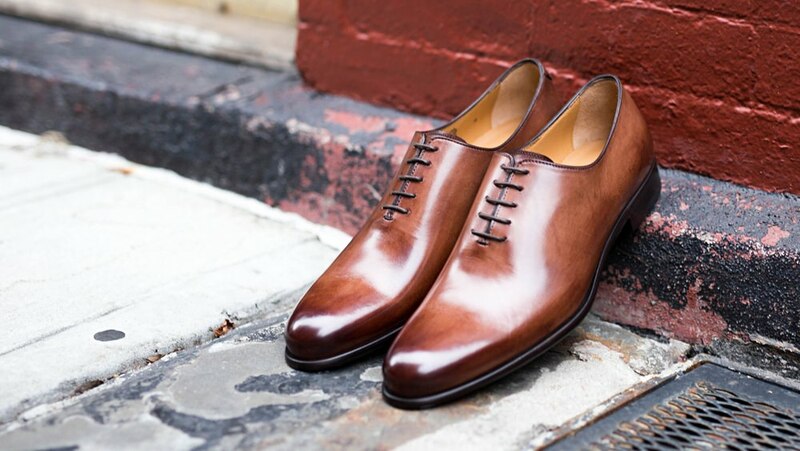 Their Martin wholecut oxford ($399) is one of the brand's best sellers. Crafted with a well-chosen piece of full-grain Italian calfskin leather and a soft glove leather lining, they're grounded with a durable leather sole. The shoes are Blake stitched—a superior construction method that offers such benefits as sole flexibility for all-day comfort and the ease of re-soling for years of wear. The finishing touch is the unique hand painted finish that's expertly applied by a skilled Napolitano artisan. Everything you need to know to ensure that your kicks last you as long as possible.